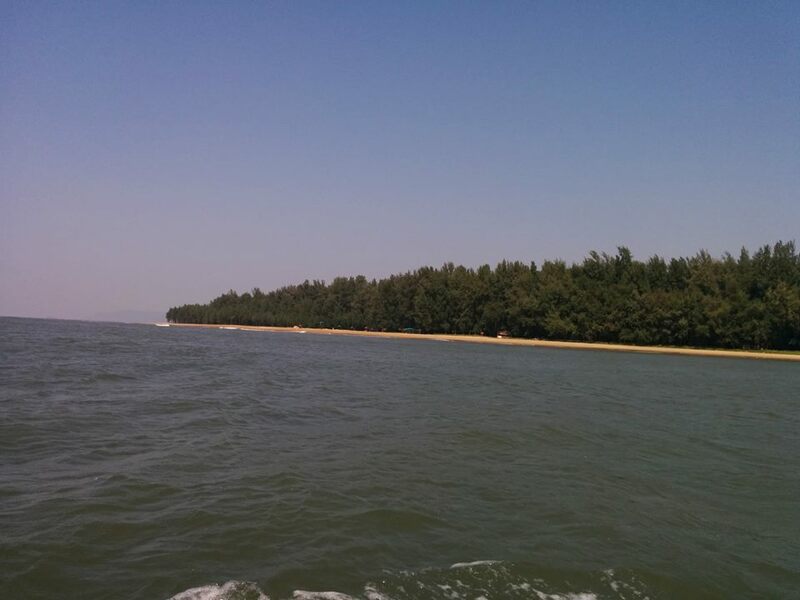 Devbagh island is located at the confluence of River Kali and Arabian sea. The lagoons formed by the confluence form a perfect and safe place for swimming. 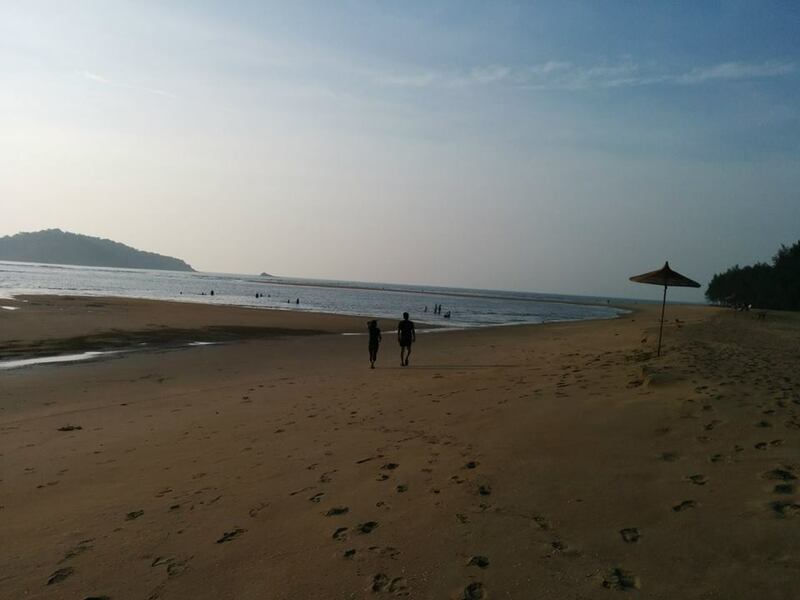 The sea level rises during the night engulfing all the lagoons and the tide remains high till late in the next morning. The water starts receding till the evening and the lagoons are again formed by evening. Evenings are the best time to swim in the lagoons. The rise and fall in the sea level causes a lot of seashells to be scattered on the sea shore . As the sun sets in the evening, the entire shore gets bathed in golden light and the sea shell shine even more beautifully. The Devbagh beach in the evenings is truly a photographers paradise. The shallow lagoons, seashells spread across the shore, the golden sunset-all together make a heavenly experience at Devbagh – true to the meaning. 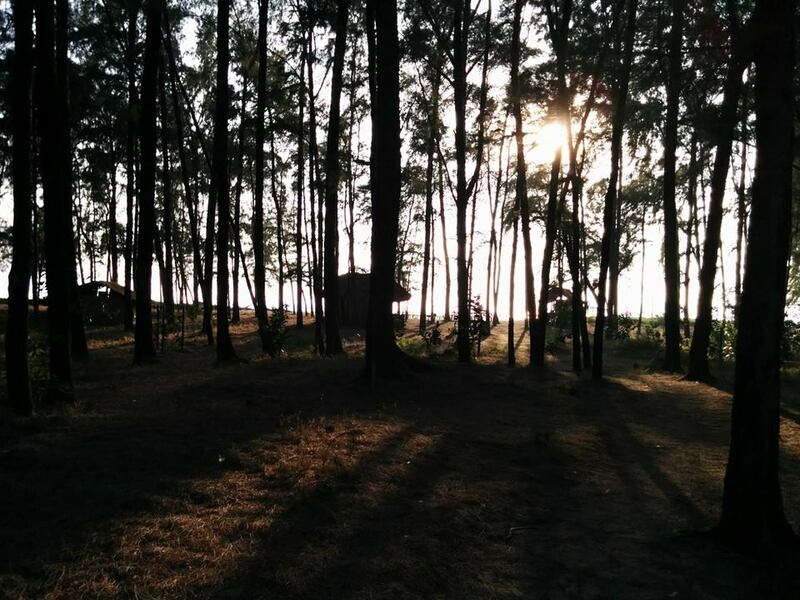 The whole island of Devbagh is covered with casuarina trees which provide perfect shade for the visitors to roam around the island or laze on the hammocks at any time of the day. 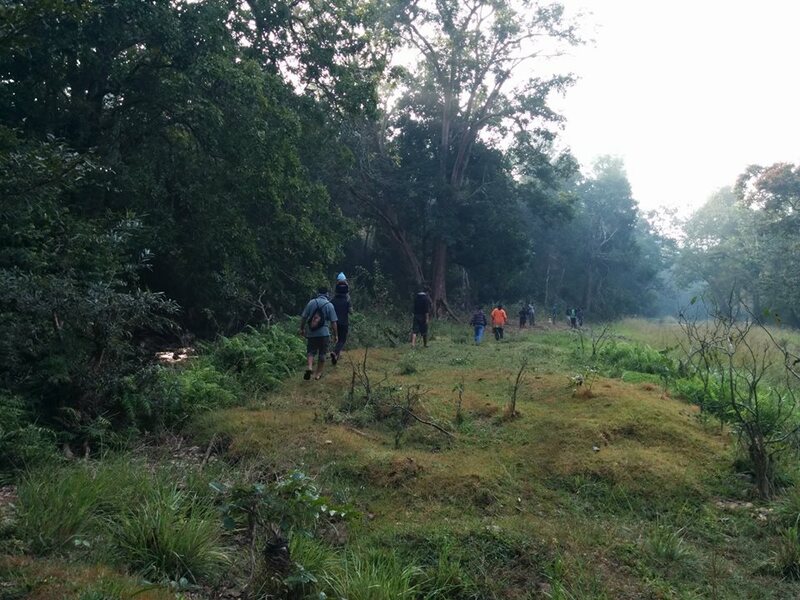 Dandeli never fails to entertain you with its lush green forest, the mystic Kali river which flows through creeks and valleys, breathtaking view points, numerous waterfalls, adventure sports, the amazing flora and fauna in the forest, wildlife and birds- It has something for every wandering soul. Since the Supa dam is used for hydel power generation, the water is released through the gates throughout the year. It is in this water that the rafting is arranged. 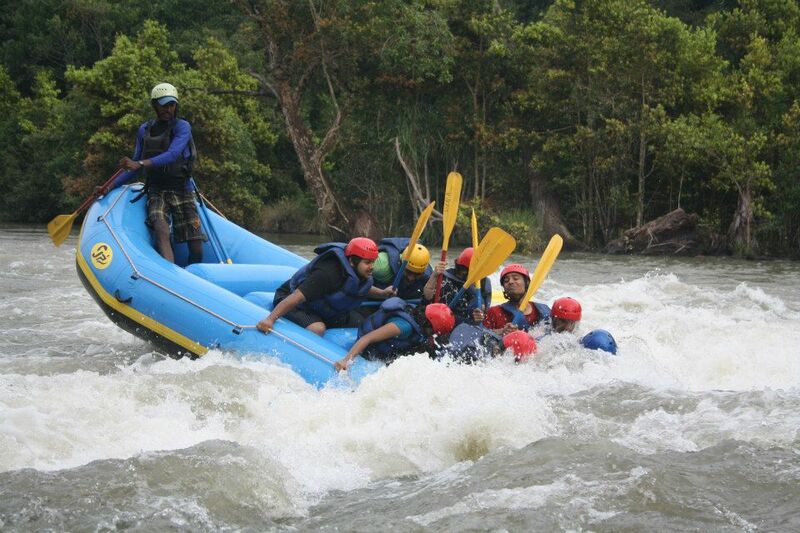 Some of the days, rafting might not be possible when the hydel power station is shutdown for maintenance work. 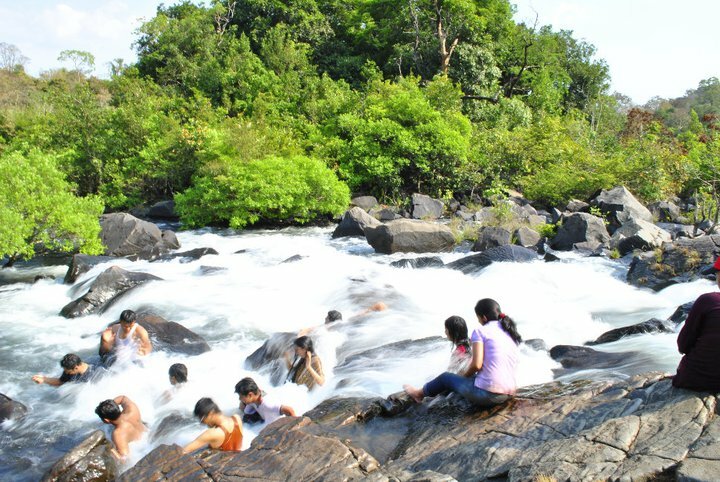 However, all other water activities can be enjoyed even when water is not released from the dam. Best time to visit : September to January. Months of October and December is the peak season and booking in advance is advised.